The Fashion Princess: Auguri DONNE! MARCH 8. International Day of Women is to remember the achievements of social, political and economic conditions of women, both discrimination and violence which even today we are subject in many parts of the world. The origins of the festival date back to March 8, 1908, when, a few days before this date, in New York, the Cotton Textile Industry Workers went on strike to protest the terrible conditions they were forced to work. The strike lasted for several days, until March 8, the owner Mr. Johnson, blocked all the doors of the factory to prevent workers leaving. The building was set on fire and the 129 workers trapped inside burned by the flames. Later this date was proposed as an international day of struggle in favor of women, by Rosa Luxemburg, just a reminder of the tragedy. This sad event kicked off in the years immediately following a series of celebrations in the early days were limited to the United States and had as its sole purpose the remembrance of the order made by the workers died in the fire at the factory. In September 1944, was created in Rome the UDI, Union Women in Italy, and was the UDI to take the initiative to celebrate the March 8, 1945, the first day of women in the zones of freedom, while London was approved and sent to the ONU a Charter for women containing requests for equal rights and working conditions. 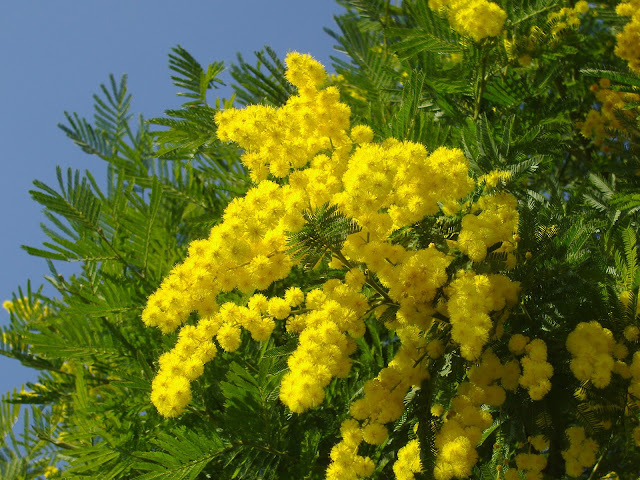 With the end of the war, March 8, 1946 was celebrated throughout Italy and saw the first appearance of its symbol, the MIMOSA, which blooms during the first days of March. Fragrant and delicate as US.. Yellow, soft and fragile.Today is our day, but we must NOT forget everything that has happened and what, unfortunately, continues to happen all too often. In 2013, continue to occur even too much violence, verbal and physical, and too many humiliations. We are human beings, we are NOT the DOLLS, and we are NOT OBJECTS DO NOT BELONG to anyone! WOMEN are important and are worth! Always remember that. Do not let NEVER put your feet in no head, pull out the nails. Do not let anyone humiliate you, to tell you that do not count.We will also fragile and less strong (in term of physical strength) of men but not for this lower. Indeed, we can also drop 1000 times but still it up again 1000 times, we dry the tears, and we continue to FLY free and light as butterflies. Celebrate and have fun .. but REMEMBER! 8 MARZO. Giornata internazionale della DONNA per ricordare sia le conquiste sociali, politiche ed economiche delle donne, sia le discriminazioni e le violenze cui ancora oggi SIAMO oggetto in molte parti del mondo. Nel settembre del 1944 si creò a Roma l’UDI, Unione Donne in Italia, e fu l’UDI a prendere l’iniziativa di celebrare, l’8 marzo 1945, la prima giornata della donna nelle zone dell’Italia libera, mentre a Londra veniva approvata e inviata all'ONU una Carta della donna contenente richieste di parità di diritti e di lavoro. 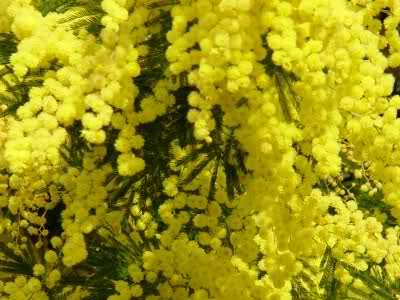 Con la fine della guerra, l'8 marzo 1946 fu celebrato in tutta l'Italia e vide la prima comparsa del suo simbolo, la MIMOSA, che fiorisce proprio nei primi giorni di marzo. Profumata e delicata come NOI. 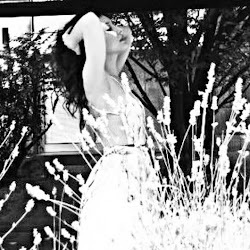 Gialla, soffice e fragile. Oggi è la nostra giornata ma NON dobbiamo dimenticare tutto cìò che è successo e quello che, purtroppo, continua ad accadere con troppa frequenza. Nel 2013 continuano a verificarsi ancora troppe violenze, verbali e fisiche, e troppe umiliazioni. Siamo persone umane, NON siamo delle BAMBOLE, NON siamo OGGETTI e NON APPARTENIAMO a nessuno! DONNE, siamo importanti e valiamo! Ricordatelo sempre. Non fatevi MAI mettere i piedi in testa da nessuno, tirate fuori le unghie. Non permettete a nessuno di umiliarvi, di dirvi che non contate. Saremo anche fragili e meno forti (nel termine di forza fisica) degli uomini ma non per questo inferiori. Anzi, possiamo anche cadere 1000 volte ma 1000 volte ancora ci rialziamo, ci asciughiamo le lacrime e continuamo a VOLARE come libere e leggere farfalle. Brava!! e che se lo ricordi anche il governo con delle leggi che ci tutelino di più! bel post!! !certo che valiamo!! !Tanti Auguri anche a te!!! Mi ha fatta emozionare quello che hai scritto :)Tantissimi auguri,cara.. E auguri a tutte!! Hai scritto delle cose bellissime e verissime...un post meraviglioso! Grazie Manuela! :-) Ancora auguri! Questa festa non la festeggio mai, tante volte è un pretesto per ubriacarsi e andare a ballare, tutti si dimenticano la vera storia!